DESIGN YOUR OWN ACTIVE PANTS Yes, its true, and it's very simple. 1st- You can have pants just like these (if selected pockets vary) or, Select your Image theme or Give us 2-3 themes for the art on your pants. Don't worry, whatever you mention we will use as inspiration to create some amazing art for your pants. Previous customer theme examples include, "Vintage Motorcycles", "Oak Trees", "Throwback Hi-Tops", "Horses", "Stars", "Vintage Tattoos". Anything is game! Just mention right in the notes section during checkout. 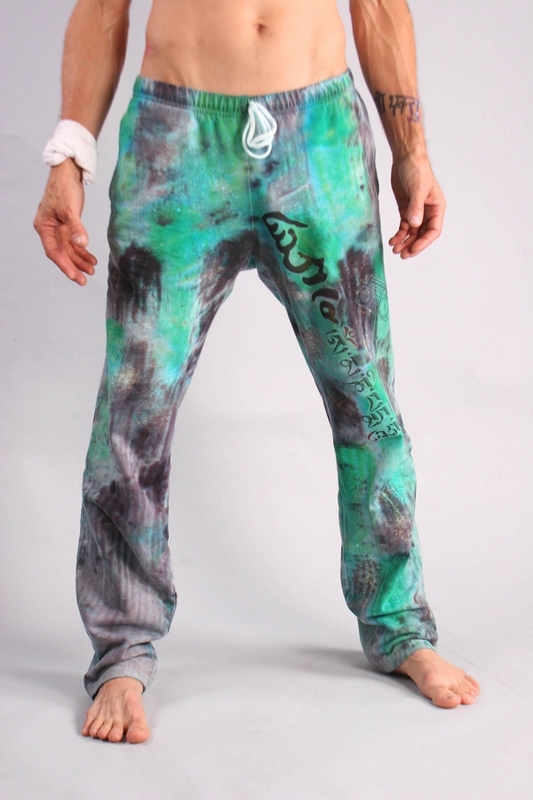 2nd- Sit back and wait 7-14 days for your one of a kind active pants to arrive, slip them on, snap a picture, send it to us and get 30% off your next order at COUTURETEE.COM. Just in case you are unsure of our supreme, practically divine skill to create incredible active/lounge pants, click on the Image Gallery Link above or navigate to our Portfolio page to check out our works. Model shown is 6'0" 175lbs wearing a size Large. Large can go up to 215Lbs. Trying to get my gentleman away from the thick black fleece jogging pants for his venture into my yoga world, I decided to surprise him with these pants. Choosing a custom theme to personalize them, they arrived today and I was TOTALLY BLOWN AWAY. They are beautiful quality, the design (once again trusting Tristan) unparalleled! No more retail stores for us! Will take photos in his first class this Sunday! Thank you so much for helping me make dreams come true!